A mother’s love is instinctual, unconditional and forever. She thinks about her children day and night, even if they are not with her and will love them in a way they will never understand. For this Mother’s Day 2016, THOMAS SABO has a special edition of four new ‘The Infinity of Love’ necklaces inspired by symbols of love. 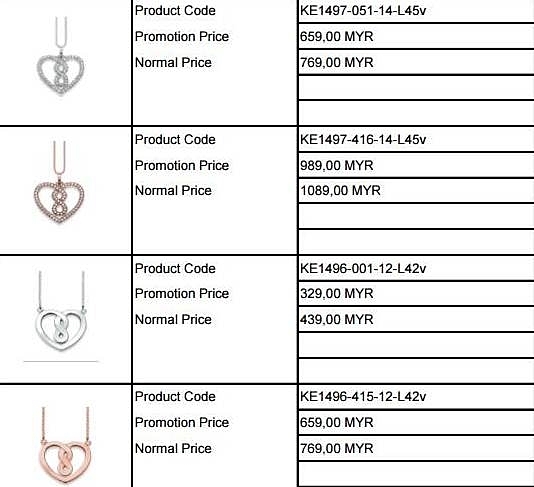 Two sophisticated highlights are the elegant heart-shaped pendants crafted from exquisite 925 Sterling silver or with delicate 18 carat rose gold plating set with an intricate and lovingly detailed Zirconia pavé. Both styles are available as ready-to-wear-sets, complete with the matching necklaces. It’s simple, yet timelessly chic: two necklaces crafted from exquisite 925 Sterling silver or with delicate 18 carat rose gold plating round off ‘The Infinity of Love’ necklace edition. The delicate pieces reveal an infinity-symbol forming the center of a heart shaped pendant symbolizing the eternal love between a mother and child. nice fashion accessories to use. suitable for you to use, I need to check this web soon. they always have lovely items. quite hard to make decision because they all are nicely crafted. i love the last piece that i assume is rose gold? Love Thomas sabo's accessories but too much expensive for me to afford lol. So just admire it for now. I think they look good. Not just for mom but also for self.